Photosynthesis is the process by which plants use radiant energy from the sun, carbon dioxide from the air, and water to produce nutrient sugars. As a general rule plants grow more vigorously as the intensity of light increases, but the response of plants to light intensity also depends on the species of plant and the duration of the light. Light is more intense in the middle of the day than it is early in the morning or late in the afternoon. A foot-candle is the amount of light produced by a candle placed in the center of a circle with a radius of 1 foot. Full sunlight on a clear day in summer has a light intensity of about 10,000 foot-candles; an overcast day will yield about 1,000 foot-candles of light. Depending on latitude, time of year and the direction of sunlight, a window can receive from 100 to 5,000 foot-candles of light. The light intensity produced by commercial growing lights is usually listed in lumens. A lumen measures the amount of light that can be perceived by the human eye. One lumen equals 12.56 foot-candles. Light becomes more intense with an increase in lumens, which usually leads plants to grow more vigorously. As the intensity of light increases from around 100 foot-candles to about 2,500 foot-candles, photosynthesis in most plants generally increases in a straight line; as the intensity of light becomes more intense, plants grow more. Plants that use sunlight efficiently can increase their rate of photosynthesis with light of up to 10,000 foot-candles. A lack of light is a major reason why plants do poorly. The leaves of plants growing in low light intensity will scorch if they are moved into bright sunlight. As the protective wax content of their leaves increases, the plants will more easily tolerate the sun. Each species of landscape plant has specific requirements for light intensity. Some plants do well in shade; others need intense sunlight. Most plant labels and gardening texts do not use foot-candles or lumens to express the light intensity required by landscape plants. The gardener or grower needs to understand popularly used terms to match plants' light requirements to locations where they will grow well. 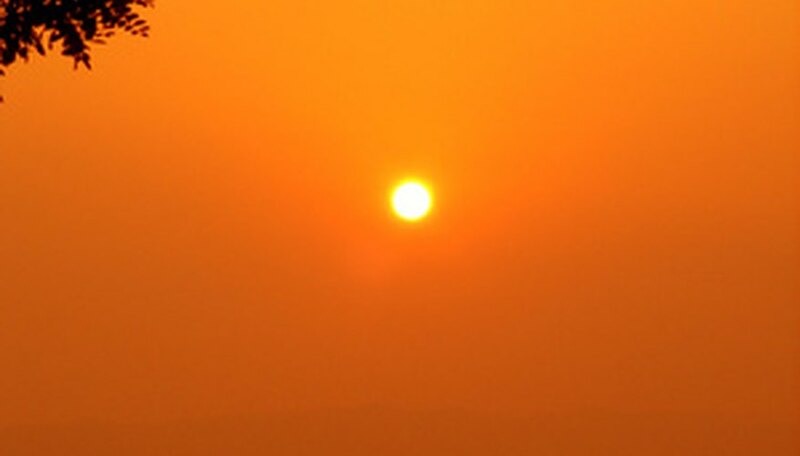 "Full sun" means a location that receives direct sunlight from 9 a.m. to 4 p.m., with a minimum of least 8 hours a day. Plants can have morning shade with afternoon sun, or afternoon sun with morning shade. "Dappled" or "filtered shade" means that sunlight comes through the leaves of the canopy of a tree; the canopies of some trees let through more light than others. "Open shade" is where sunlight is blocked but there is open sky above. "Closed shade" means there is no sun and no open sky. Plants grown indoors can be usefully divided into three groups, depending on the intensity of fluorescent light they require, say plant scientists at the University of Missouri. The grower calculates the number of watts of artificial light per square foot of space in which plants are grown. The lights are placed from 6 to 12 inches from the plants. A single 20-watt tube that is 2 feet long, or a 40-watt tube that is 4 feet long, will provide enough light for plants that can survive on 10 foot-candles of light. Plants that require 250 to 3,000 foot-candles need 15 or more watts per square foot of space. Plants that need 200 foot-candles of light can be grown with 20 watts per square foot.